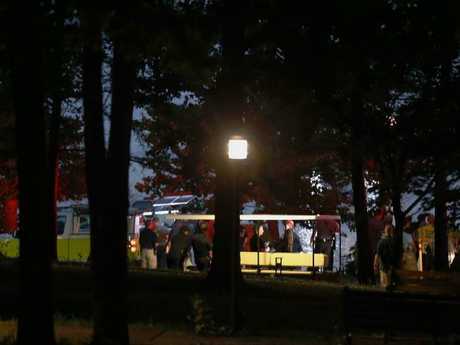 NINE people from the same family were among those killed in the Missouri 'duck boat' tragedy, it has been confirmed. Missouri Governor Mike Parson said nine of the 17 people who died on Table Rock Lake during the wild thunderstorm were related. Parson said he had spoken to a woman who "lost nine of the 11 members of her family", according to the BBC. "It's difficult to find the right words to say," he said on CNN. 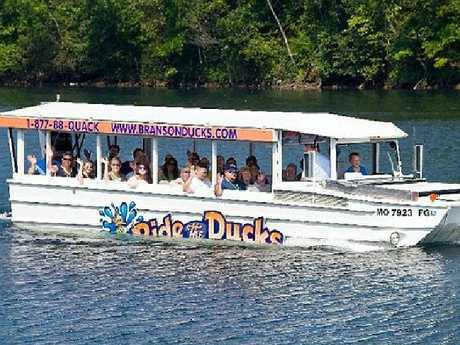 Another two members of the same family survived when the the Ride the Ducks Branson vessel capsized near the tourist town of Branson, Missouri. The governor's office said it had no other information about the family members. Authorities have not yet identified the victims. The boat capsized when a thunderstorm hit the area and brought winds that approached near-hurricane speeds. Twenty-nine passengers and two crew members were on the boat at the time. The boat's driver was among those killed. Gina Lemus was on board another Ride the Ducks boat with her husband and their five children when the incident occurred. She told the Kansas City Star they were originally meant to be on the boat that sank. Her husband, Paul Lemus, shot footage, seen above, as their boat fought through the storm to make it back to shore. Gina told the Kansas City Star that the distressed boat went under just as the boat they were traveling on made it back. Meantime, Governor Parson said an investigation was being led by the National Transportation Safety Board and the US Coast Guard. 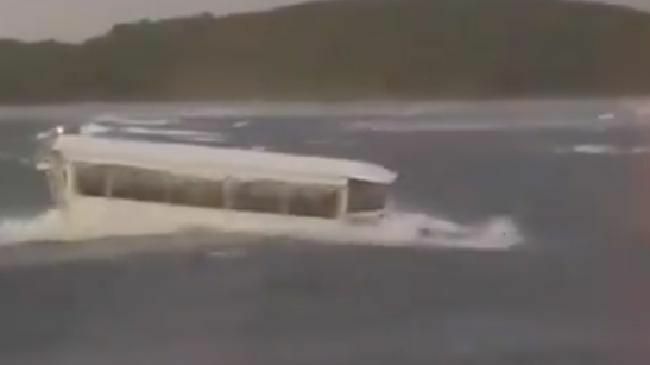 The amphibious land-to-water vessel carrying 31 people was swamped by waves on a lake in Missouri, and flipped over on Thursday at about 8PM local time. Local Trisha Ayers said that she saw the weather change in 10 minutes, from sunny to gale force winds that were bending traffic signs. Ayers called the fatal accident a "fluke" and said she hopes it doesn't tarnish Branson because most of the tow's income came from tourists. 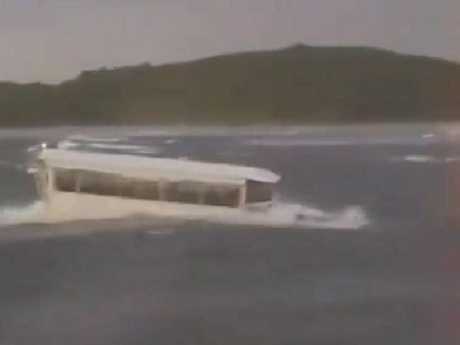 Videos of the incident taken from another water craft showed two duck boats - which have wheels and can also move on land - foundering in heavy winds as a storm lashes Table Rock Lake near Branson, a popular tourist and entertainment town. The boat, operated by Ride The Ducks, appeared to have its windows up when it sank. 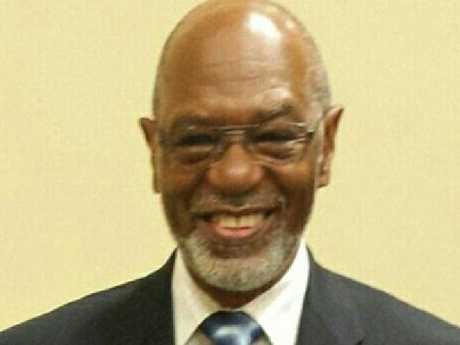 The driver of the boat, Robert "Bob" Williams, 66, is among the dead while the captain survived, authorities said. Seven of the survivors had to be hospitalised. Stone County Sheriff Doug Rader did not have details about the all deceased, but confirmed the dead included youngsters. "It capsized and sank," Mr Rader said of the boat, which remained underwater and could not be seen at all from the surface on Friday morning. Divers were on the scene searching for the missing. He also said divers have located the boat, which initially sank in 12 metres of water and rolled down into depths of 24 metres. Witnesses dining on cloth-covered tables on the larger boat gasped in horror as big waves and strong winds made the small boats bounce wildly on the water. The video ended before it was clear which of the two duck boats sank. The National Weather Service tweeted that wind gusts of 100 kilometres an hour were reported at 7:30PM. at nearby Branson Airport.